This page is alien ID photo page. We prepare the application form in English. Just fill in the blanks! It’s so simple and easy. *Please bring a memo describing sizes in cm and quantities you need with you. You can choose a kind of photo paper at the same price. “OMOTENASHI” campaign As a commemoration for TOKYO olympic 2020. We make \500 off discount for people from other countries. Fill in the application form (size in cm, quantities, background color etc.) and choose a kind of paper at the counter. We guide you to the studio. * Check yourself in the mirror attached to the studio. Make sure the frame of your glasses does not cover your eyes and your hair is not covering your face. Do not wear a hat or a head scarf – no sun glasses! Photographer takes your photos by the professional digital SLR camera. 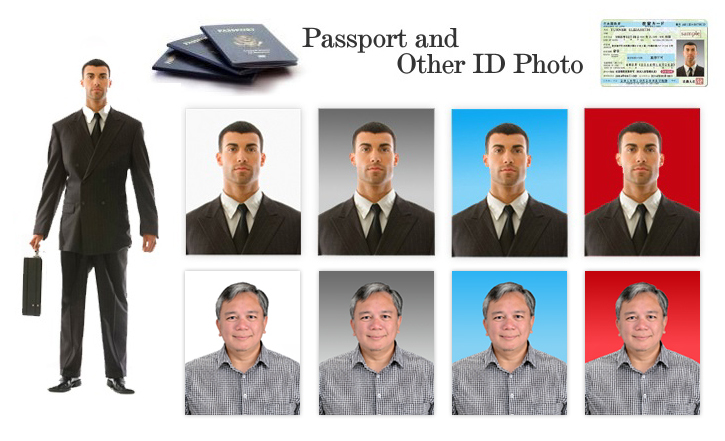 * The passport or ID photos are different from portrait photos. The purpose of the photo is to identify your figure as clearly as possible. For this reason, most photos are taken on neutral facial expression, mouth closed, no smiling, look straight at a camera against plain background. Choose your favorite photo in the monitor. photo takano studio booking with us please contact us. Copyright © 2008- TAKANO Co.,LTD. All Rights Reserved.